Panels of experienced healthcare technology pioneers, NHS representatives, and advisory and regulatory experts, faced questions and engaged in debates on areas which impact on the key themes of endorsement, commissioning, pricing and prescribing. 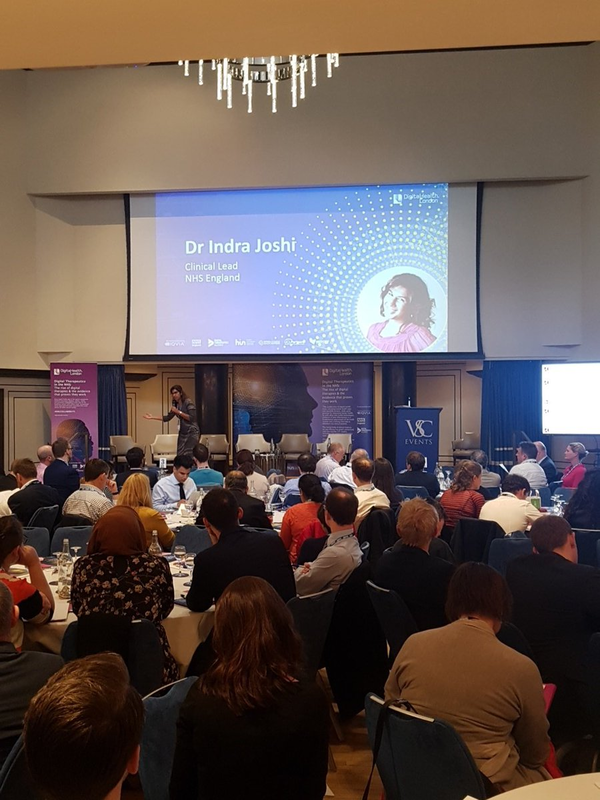 After an introduction by Dr Mark Davies, GP and non-executive director of BMJ, Dr Indra Joshi, the Digital Health and AI Clinical Lead for NHS England, set the scene, saying: “We now have alternative tools, different ways to deliver care.” Dr Joshi then encouraged us to embrace the opportunity to start ‘different’ conversations, to get together as a community, across multiple digital platforms and to consider three key things: The paradigm – it’s not just the technology, it’s the story behind it, the mechanism to enable us to talk to patients in need; The evidence, and how we deliver it, and; The money – ‘how are we going to pay for it?’ These three thoughts underpinned the proceedings throughout, providing an exciting and challenging start to the day. Murray Aitken, Senior Vice President and Executive Director, IQVIA Institute for Human Data Science, and Nelia Padilla, IQVIA’s Vice President for Digital Health Strategy, presented their current and recent research into patient apps for improved healthcare, and patient adoption of mHealth. IQVIA’s published analyses of the digital health landscape in 2013 and 2015, focused on the evidence which demonstrates the impact of digital tools on human health, and estimated the potential cost savings to the UK healthcare system.Trends in innovation, evidence and adoption were examined, from the original introduction of app technology into healthcare, and the research documented the stages along the journey from ‘novelty to mainstream’, while also highlighting the barriers to acceptance. In September 2015, there were 135,000 consumer health apps available worldwide. As of the most recent studies, the number is expected to reach in excess of 218,000 this year, with more than 200 apps being introduced daily. The good news, according to IQVIA, is that the research shows evidence of higher consumer satisfaction, with apps now covering more and more areas of the patient journey. Crucially, there is increased evidence of the clinical efficacy of digital therapeutics. Increasing numbers of studies are being published all the time, investment in the development of evidence is high, and there are increasing numbers of clinical trials. However, there are, at present, fewer studies which examine the financial impact of digital therapeutics, and there is a continuing need for more evidence of return on investment for Government, investors and payors. While current tables and graphs are indicating consistent, and often substantial, cost savings made by the introduction of digital therapeutics across key areas of healthcare, there are still barriers to its uptake. 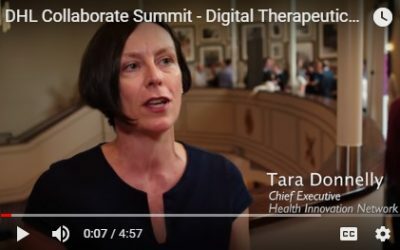 The UK, suggests IQVIA, has a potential opportunity to be a world leader in the adoption of digital therapeutics, but this will require lowering the barriers to involvement for clinicians, patients and investors, more effective use of available platforms for patients to contribute data, and produce evidence, the production of high quality research, as soon as possible, and the transition from there towards routine care. The summit delegates were then introduced to a panel which included several technology pioneers who have already made substantial progress in the development of clinical evidence and the introduction of digital therapies into the mainstream healthcare market. Anand Iyer is CSO of WellDoc, Pierre Leurent is CEO of Voluntis, and Vincent Hennemand is VP of Strategy for Akili. Dr Simon Bourne is CEO of My mHealth, and Dr Sophie Bostock is the UK Innovation lead at Big Health. 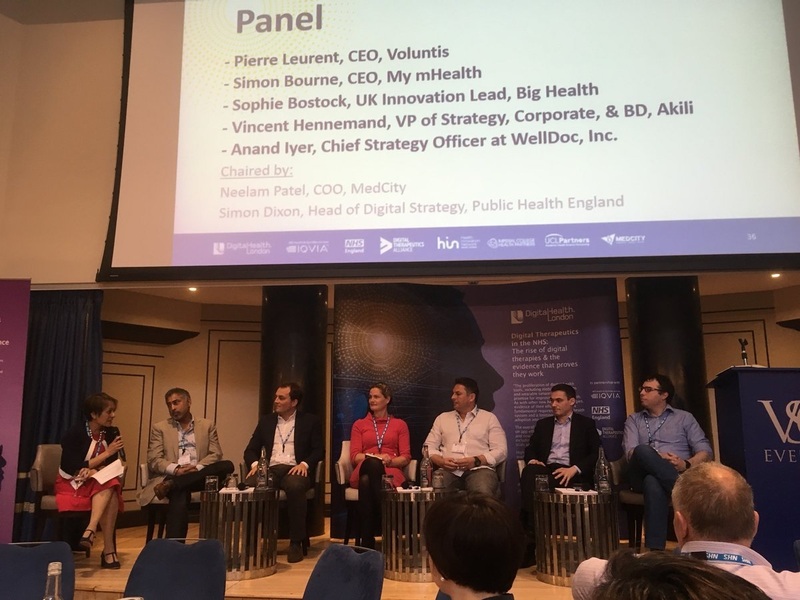 Neelam Patel, COO MedCity, and Simon Dixon, Head of Digital Strategy and Service Design, Public Health England, questioned the panelists around a series of issues they have faced, asking them to share their own experiences and offer advice going forward. These included the challenges of funding and running clinical trials, and the panel agreed that while trials are costly, patients need evidence-based access to technology to manage their healthcare. Where such high numbers of apps are coming into the market all the time, the availability of both trial, and real-world evidence is crucial, in differentiating between products, proving efficacy and cost effectiveness, and steering patients towards the right digital tools for them. It was also agreed that trial data, while invaluable, is even more so when updated regularly, with technological advances, and real-world experience. The significance of publishing through peer-reviewed channels was also raised, and again, the panel believed the effort, though considerable, was a significant differentiator, stressing the importance of synchronizing publication with development cycles, and embedding real-world data. The question of money was, as ever, the subject of an active debate, with the panel happy to share their experiences around funding, and the necessary creation of convincing business cases for technology development. Their advice included sticking to the vision, collaborating with, and using help from, partners, accessing venture capital from outside the industry, and feeding into the development of evidence. Questions from the floor prompted further discussions about the value of engaging with patient associations, the significance of marketing, and how to solve issues of vertical integration, a vital part of development in a nascent industry, according to the panel. In fact, partnership proved to be a very hot tip, as panelists pointed out that they had experienced need for, variously, practical support, people, sensors, software, and the experiences of other developers with similar aims. “Integrating is the fun bit” added Big Health’s Dr Bourne. The panel agreed with Dr Joshi’s introduction, that experience continues to prove the need to think creatively and holistically in a world where everything, from delivery models, clinical roles, and patient self care, through to payment models, needs to adjust, or change radically, to meet the challenges of the brave new world of digital therapeutics. The NIHR Clinical Research Network delivers clinical research studies throughout the NHS in England. For the last year, CEO Dr. Jonathan Sheffield has led the development and early phase implementation of the digital strategy for the whole of the NIHR. Dr. Sheffield addressed the summit on the issue of cultural shift in the way we use technology, citing the responses of patients, the research community, and NHS providers, who have been involved in clinical trials, and illustrating the importance of involving all stakeholders in the process. A second panel then convened, chaired by MedCity CEO Sarah Haywood, with the aim of outlining a potential ‘Digital Therapies Toolkit’, to look at criteria driving decisions across the key themes of endorsement, commissioning, pricing and prescribing. Dr Indra Joshi, Clinical Lead, NHS England, Mark Duman, North West Service Champion for Diabetes UK, Professor Martin Cowie, Professor of Cardiology at the Royal Brompton and Harefield NHS Foundation Trust, Dr Mark Kelsey, Clinical Chair at Southampton City CCG, Mark Campbell, Acting Programme Director at NICE, and Professor Colin Espie, Co-founder and Chief Medical Officer at Big Health, began by looking at endorsement, discussing the ways in which patients might be advised as to the right choices, making apps accessible, and working technology into overall patient care programmes. Very significant questions of risk and responsibility were raised, including the point at which digital therapeutics ceases merely to be a new channel for delivering healthcare, and becomes the intervention itself, i.e., when harm could be done. The panel then looked at commissioning, discussing the need to establish ‘who is the buyer?’ in the new realm of patient empowerment, and with the expanding availability of digital therapeutics to clinicians. The secondary question, ‘what is the narrative which will stimulate purchase?’ was also raised, together with the extent to which digital therapeutics is still seen as a second-class, low (or no) cost add-on, rather than a solution in its own right. The panel also talked openly about further key points, such as the need for ongoing observation and the protection of data for both patients and clinicians, in the new, rapidly developing, digital world. The pricing of technology is still a big concern for all stakeholders, and the panel was faced with some tough questions as to the need for new pricing structures and payment models. There was a call to look at the fact that while drugs can be, and have traditionally been, priced universally, app development requires some form of remuneration at the point of development, and throughout R&D phases. Comparisons between treatment or management ‘products’ can be impossible, and the necessity of creating and maintaining a strong business case throughout the technology development process was underlined. 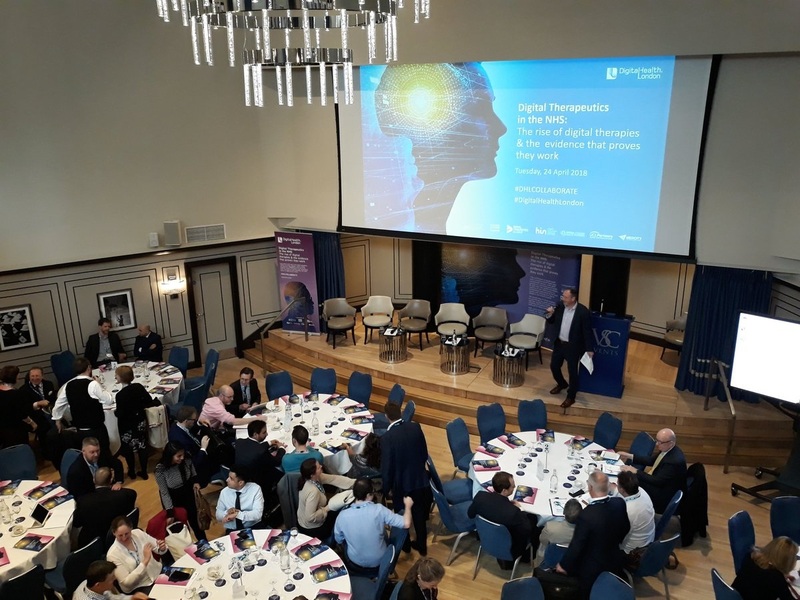 Throughout the summit, from the research to the real-world experience of technology pioneers and clinicians, it was clear that barriers to the uptake of digital therapeutics are still evident, and not least among these, is the reluctance of some clinicians to prescribe digital tools. The debate was a lively and informative one, covering issues such as the need for more evidence of success, the lack, or perceived lack, of financial incentives, or business cases, and the vital need to reassure patients and clinicians alike over the access to, use of, and protection of, data. Professor Cowie led the panel in suggesting that it may be time to rethink the limitations of approval-seeking within the healthcare industry, suggesting that it was time to “get on and do it”. As Professor Cowie emphasized, “medical people like innovation”, and the enthusiasm and engagement of everyone at the summit proved it, demonstrating the value of shared knowledge and experience, as we worked with many of the significant questions which are being, and must continue to be, asked. 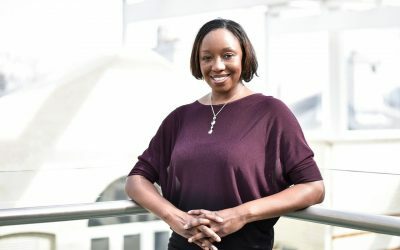 The debates will go on, and Digital Health.London is continuing to pull together the many disparate areas of work in progress in this exciting and challenging area, as well as creating further opportunities for stakeholders to collaborate, partner, and input into the development work from all sides. Over the coming weeks we will be talking more about the specific questions which are being discussed throughout industry and healthcare, and we look forward to meeting and talking with you. There are many contributing factors driving the quality of health outcomes. But one emerging question that is gaining traction and profile is, can digital therapeutics play a role in improving health outcomes, and what is the evidence to suggest they can?